Reduce labor costs with our CleanBreak rubber floor cleaner and degreaser. Formulated to SAFELY clean animal care & training facilities, kennels, animal hospitals, and so much more. pH NEUTRAL - not alkaline or acidic. Ph neutral cleaners, like this, allow you to clean without destroying the sealant. 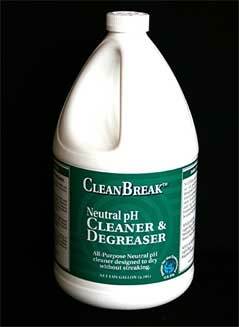 CleanBreak is non-alkaline and non-acidic and is an effective and economical sanitizing system available. All purpose cleaner - ideal as rubber flooring cleaner. Dries without streaking. No need to rinse. Not harmful to high gloss. Non-toxic, clean fresh scent BROAD-SPECTRUM cleaner and degreaser. ECONOMICAL concentrate, mix 2 oz. per gallon (makes 64 gallons of ready to use product). 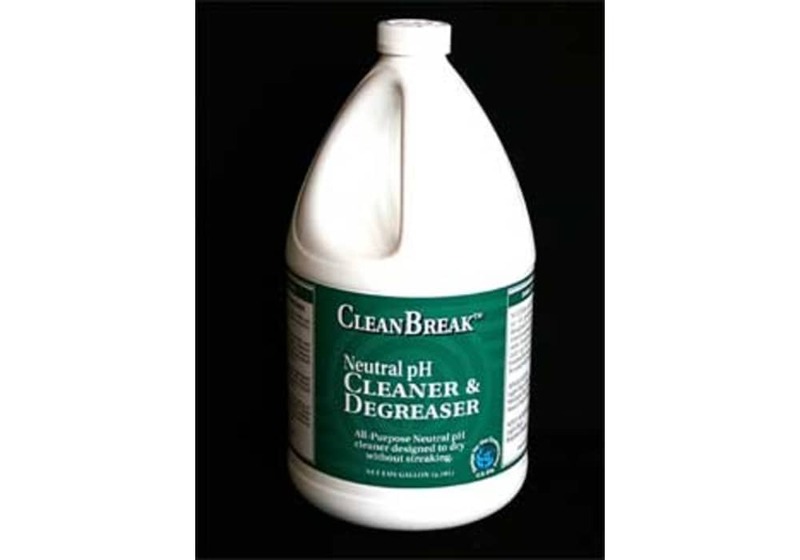 CleanBreak rubber floor cleaner and degreaser is formulated to SAFELY clean animal care & training facilities, kennels, animal hospitals, and so much more. Ph neutral cleaners, like this, allow you to clean without destroying the sealant. 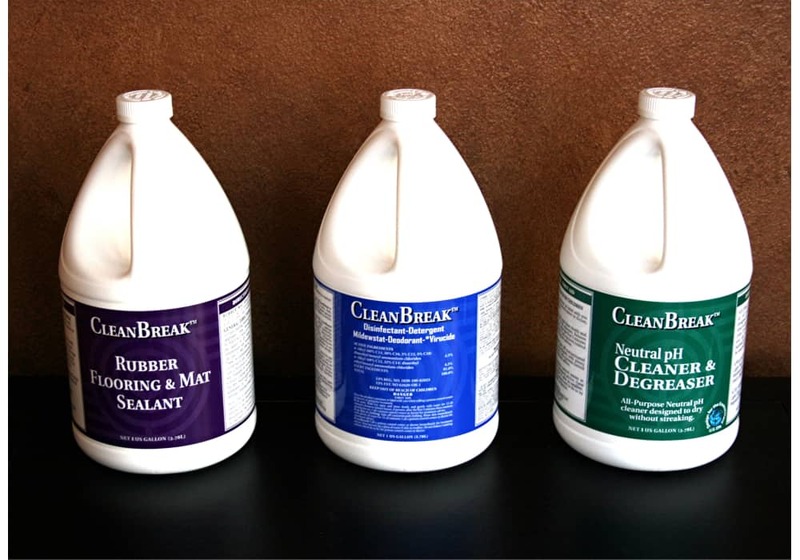 CleanBreak is non-alkaline and non-acidic and is an effective and economical sanitizing system available.